RBKC’s litany of abject failure continues. In the first five months after the fire, the council received 1,025 Freedom of Information requests and responded to only 572 in time; this includes its ongoing refusal to say whether any documents relating to Grenfell Tower have been destroyed. Recent tests have shown that doors in the tower were fire-resistant for only half the time expected. Leilani Farha, the UN special rapporteur on the right to adequate housing, has suggested that international human rights standards on the safety of housing were breached at Grenfell. The council’s public meetings – at which the RCG continues to demonstrate – remain typified by contempt for and disconnection from the needs of working people in the borough. Emblematic of this is the decision to discontinue the public Grenfell Scrutiny Committee meetings and replace them with one-to-one consultations with council officials. Campaigners have had to fight relentlessly to keep Grenfell in the public eye. A small victory came when an online petition by survivors’ group Grenfell United, demanding that the public inquiry into the fire appoint a more diverse and representative panel of decision makers, reached enough signatures to be granted a debate in Parliament. This was after grime artist Stormzy castigated the government at the Brit Awards and shared the petition on Twitter. The stunt by campaign group Justice4Grenfell in February, where three trucks were parked outside the Houses of Parliament displaying billboards reading: ‘71 dead – and still no arrests? How come?’ was eye-catching, but where’s the real action to back it up? 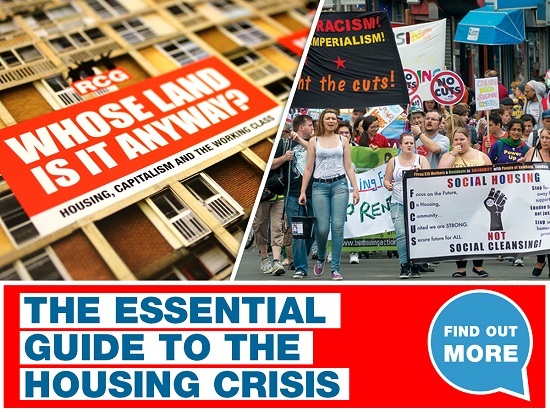 Justice4Grenfell, which is led by the Socialist Workers Party (SWP), held a public meeting in February that attracted around 200 local people. Titled ‘How can we can get justice?’, speakers included a bereaved family member, union representatives and Labour MP Emma Dent-Coad. It should have provided a real opportunity for organising urgently-needed direct action. But the only proposal to emerge was a march on Downing Street on 14 June 2018 to mark the anniversary of the fire. The SWP has had an increasingly visible presence at the monthly Silent Walks for Grenfell, with stalls at the beginning and end rallies. However their strategy appears to be to focus obsessively on Tory failures and the need to ensure a Labour victory at the May council elections. Not only is the role played by Labour councillors in the borough – including on the board of the criminal Kensington and Chelsea Tenants’ Management Organisation – ignored, but it is a strategy that actually demobilises any real fight for justice by the borough’s working class residents. In an open appeal on Facebook in March, one survivor revealed that he and his two-year-old son had been housed in temporary accommodation managed by the Apex Housing Group housing association that even RBKC admitted was unsafe. Pictures of the property showed walls and skirting boards covered with black mould, and a moisture meter reading in the ‘red zone’. He said that whenever he tried to contact the council, there was no one available to speak to him. He said survivors were being ‘neglected, isolated, abandoned’ by RBKC, just as they had been before the fire. At its meeting on 7 March, the Tory majority council approved the 2018-19 budget, which demonstrated the inability of the council to sustainably meet its urgent need for housing, with an application to central government to raise its debt ceiling by £150m. The budget also included raising council tax by 5.99%. A local resident in the meeting loudly condemned the council tax hike from the public gallery: ‘I’m on benefits and you’re putting up my taxes, you’re pushing me into poverty’. The only reaction on the council benches was from Labour councillor Harrison Littler, who complained that ‘a negative atmosphere appears to have erupted’. Clearly the councillors, Conservative and Labour alike, have learned nothing from the Grenfell fire. The same culture of contempt for the working class and indifference to their concerns will continue whoever wins the local elections in May. London RCG continues work on the streets of North Kensington, gathering thousands of signatures on a petition demanding immediate criminal charges against all who were responsible for the safety of Grenfell Tower, for the survivors to be rehoused immediately in safe, decent accommodation within the borough, and for housing services to be brought back in-house. On 21 March, the RCG once again demonstrated outside the Grenfell Public Inquiry at Holborn Bars in London as it wrapped up procedural questions. The Inquiry is unlikely to begin to hear evidence until the end of May or early June – nearly a year after the fire – although tributes to 72 victims will be paid on 21 May. Meanwhile police have said that the criminal investigation into the fire is unlikely to be completed until 2019 and could take years. Rydon, the construction company whose cut-price flammable cladding is suspected of being the cause of the inferno that engulfed Grenfell Tower last year, saw its profits rise 50% last year to £19m and increased the salary of its highest-paid director by 8% to £459,000 (The Guardian, 8 March 2018). Its accounts show directors have not bothered to set aside any money to cover potential losses or expenses related to the blaze. They do not seem to be anticipating any financial sanction over Grenfell. Meanwhile sales rose 3% to £280m for the year to the end of September, including the three-month period following the fire – compared with pre-tax losses of 43% in 2015-2016. Rydon’s website boasts that it continues to be involved in large-scale housing regeneration projects with London local authorities, including Ealing, Islington, Sutton and Camden. Clearly complicity in the murder of at least 72 people is no reason for business not to continue as usual, and indeed to prosper. We call for criminal charges now.